Cheap flights from Austin and San Antonio! [11/12/2015 @ 5:42 PM] Book this fare on: Priceline, Travelocity, Orbitz, CheapTickets, Expedia, Hotwire, BookingBuddy. [03/30/2016 @ 12:46 PM] Deal is back. American Airlines seems to be matching on some dates. The details on this page was accurate when this post was last updated (see time-stamps above). Prices and availability can and will change, given enough time. This page contains links to companies that may compensate this site when you click on their link and purchase travel from their website. 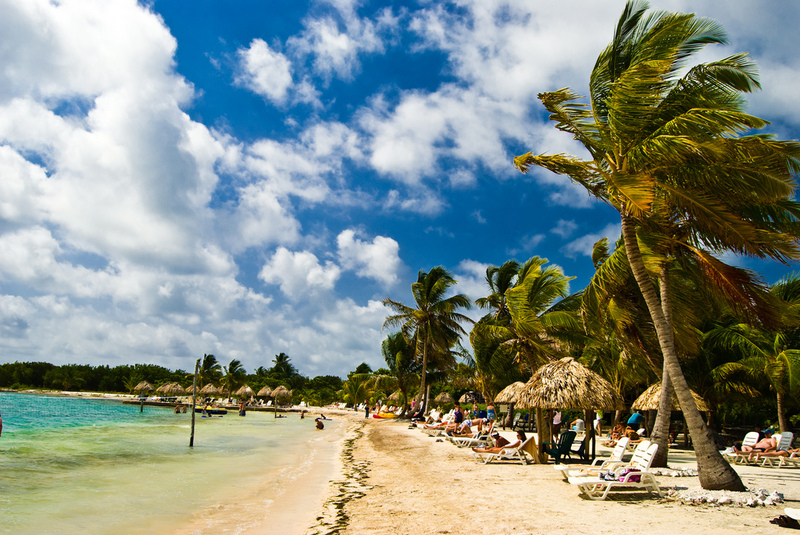 United is offering round-trip flights from Austin (AUS) or San Antonio (SAT) to Belize (BZE) for $283 with a connection. Flights are available April to early-May. Example Dates: AUSTIN (Priceline / Travelocity) Apr 15 – Apr 17 / Apr 21 – Apr 25 / Apr 29 – May 01 / May 06 – May 08 / Other dates: Try the +/- 3-day search tool on CheapTickets. Example Dates: SAN ANTONIO (Priceline / Travelocity) Apr 15 – Apr 17 / Apr 21 – Apr 25 / Apr 29 – May 01 / May 05 – May 09 / Other dates: Try the +/- 3-day search tool on CheapTickets. Different booking sites may have slightly different prices, availability and routing. Before you finalize your purchase check BookingBuddy to see if another website or airline is offering a better deal or better dates. When you are ready to book your flight or hotel, please use the links on our site to begin your booking process so we receive credit for the referral. I was able to pull this fare up on Priceline , and it should be available on all of the major booking sites. Screenshot taken at 7:45 PM on 03/30/16. If you want to see other deals that are still bookable you should check out the “Bookable Deals” page on our site. It filters out deals that have expired, or have low availability. Note: OTAs such as Travelocity and Priceline allow free cancellation without penalty within 24-hours after you purchase. As deals sell-out or expire quickly, this policy will allow you to “lock-in” the cheap fare while you sort out a plan. Just keep in mind that after 10 PM the next day, you will not be able to cancel without the regular penalty. On Travelocity , you can easily see if your ticket allows a free cancellation, just look for “FREE Cancellation” next to the booking button at checkout. Most airlines also offer 24-hour free cancellation with varying policies. For example American Airlines allows you to “Hold” a ticket before payment for 24-hours but once you pay for it you can’t cancel without a change fee or penalty, even if it was purchased less than 24-hours ago. Mile Accrual: United is revenue based. Book this fare on: Priceline, Travelocity, Orbitz, CheapTickets, Expedia, Hotwire, BookingBuddy. [Escape ATX on Twitter] – get real time tweets on travel deals such as this one. [Subscribe to Escape ATX] – get an e-mail newsletter and notification whenever a new flight deal is posted. [Follow Escape ATX on Facebook] – the best way to keep in touch with us, other than this blog. [Follow Escape ATX on Google+] – If you are on Google+ please add us to your circle. Right now, we have virtually no following there. 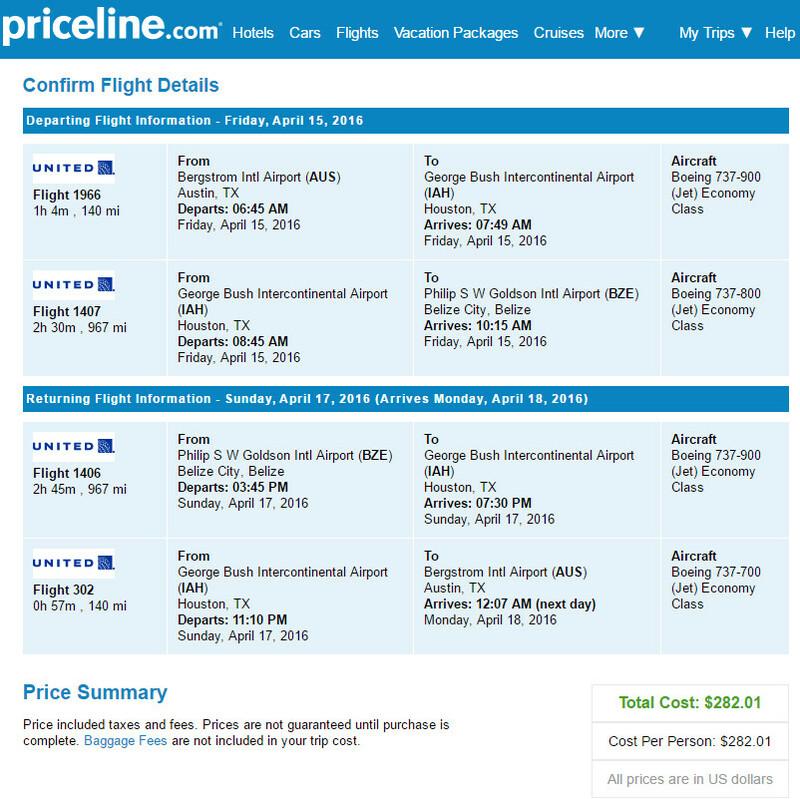 [Cheap DFW] – Airfare and travel deals leaving from Austin (AUS) and San Antonio (SAT). Subscribe to the Escape ATX newsletter and you will receive an e-mail anytime a new travel deal is found! COPYRIGHT 2012-2017 ESCAPE ATX. ALL RIGHTS RESERVED.